Fear Factory was formed in 1989 under the name Ulceration, which the band agreed would "just be a cool name". In 1990, the name "Fear Factory" was adopted to reflect the band's new death metal sound, which was influenced by early British industrial metal, industrial music, and grindcore yet remained rooted in a conservative extreme metal approach; a facet of the band's music that resulted in the its wider music audience appeal. 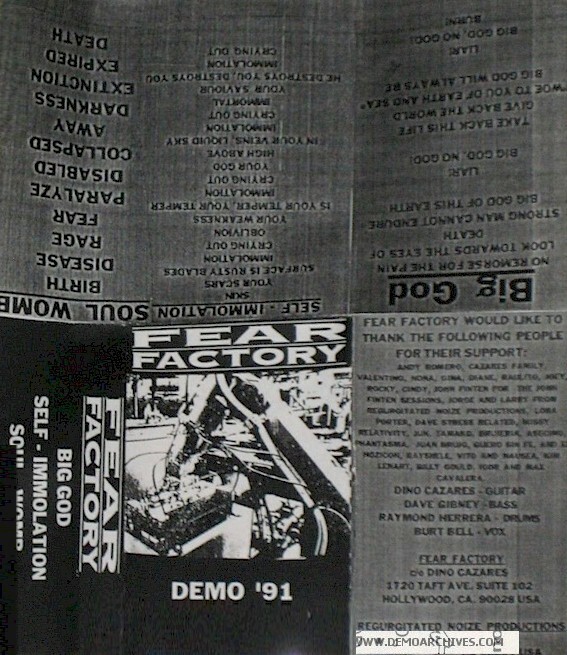 Fear Factory's earliest demo recordings are strongly reminiscent of the early works of Napalm Death and Godflesh, an acknowledged influence of the band in the grindcore-driven approach of the former and the mechanical brutality, bleakness, and vocal stylings of the latter. 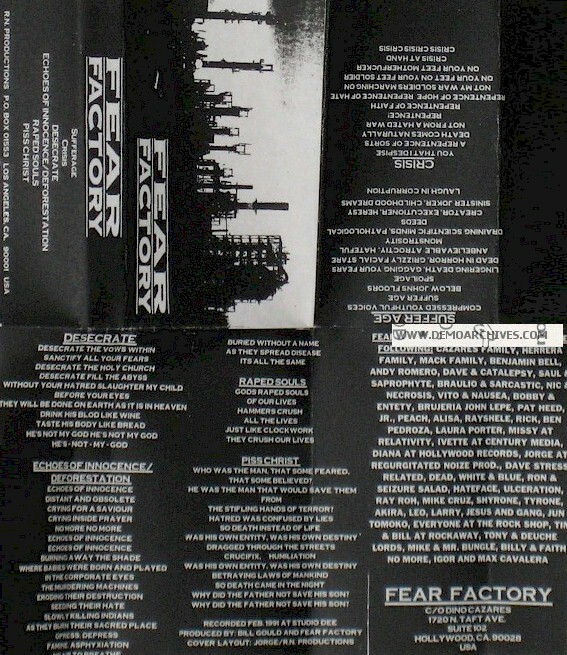 In 1991, Fear Factory recorded a series of cuts for their debut album with the then-little-known producer Ross Robinson in Blackie Lawless’ studio. The band's members were unhappy with the terms of their recording contract and caused a delay with the album's release. The band retained the rights to the songs, many of which they re-recorded in 1992 with a different producer, Colin Richardson, for inclusion on their debut release Soul of a New Machine. Meanwhile, Ross Robinson obtained the rights to the recording, which he used to promote himself as a producer. The album was officially released in 2002 by Roadrunner Records under the title Concrete after the band's breakup. Soul of a New Machine (1992), which was recorded with producer Colin Richardson, gave the band greater exposure in the music scene. It was considered revolutionary for its industrial death metal sound that combined Bell’s harsh and melodic vocals, Herrera’s machine-like battery, the integrated industrial samples and textures and the sharp, down-tuned, rhythmic, death metal riffs of Dino Cazares. Cazares and Herrera wrote all the music. Because the band had no bass player, Cazares played both guitar and bass on the recording.